The anniversary edition of this beloved bestseller is celebrated in Prefaces by Oprah Winfrey and Maya Angelou and contains a new Foreword by the author, website links, and a new Study Guide to help readers find even deeper meaning and fulfillment. The Seat of the Soul encourages you become the authority in your own life. It will change the way you see the world, interact with other people, and understand your own actions and motivations. 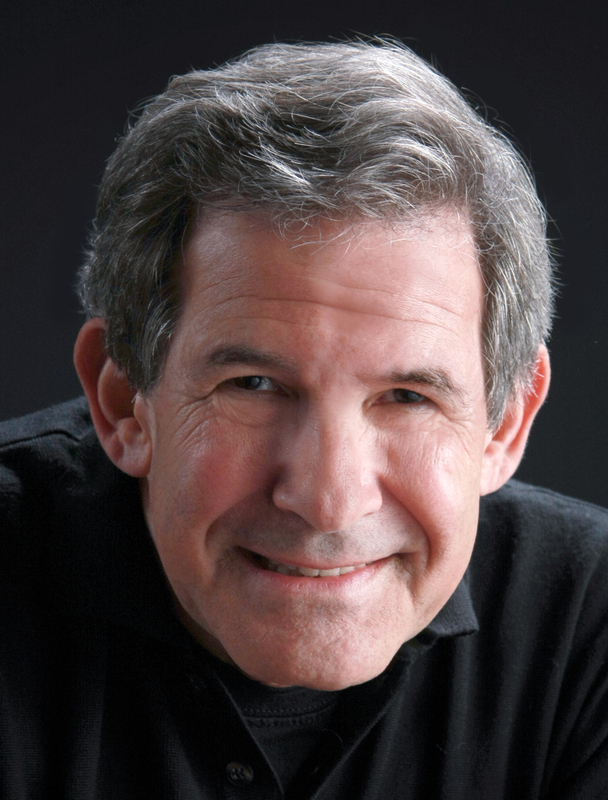 Beginning with evolution, Gary Zukav takes you on a penetrating exploration of the new phase humanity has entered: we are evolving from a species that understands power as the ability to manipulate and control—external power—into a species that understands power as the alignment of the personality with the soul--authentic power. Our evolution requires each of us to make the values of the soul our own: harmony, cooperation, sharing, and reverence for Life. Using his scientist’s eye and philosopher’s heart, Zukav shows us how to participate fully in this evolution, enlivening our everyday activities and all of our relationships with meaning and purpose. 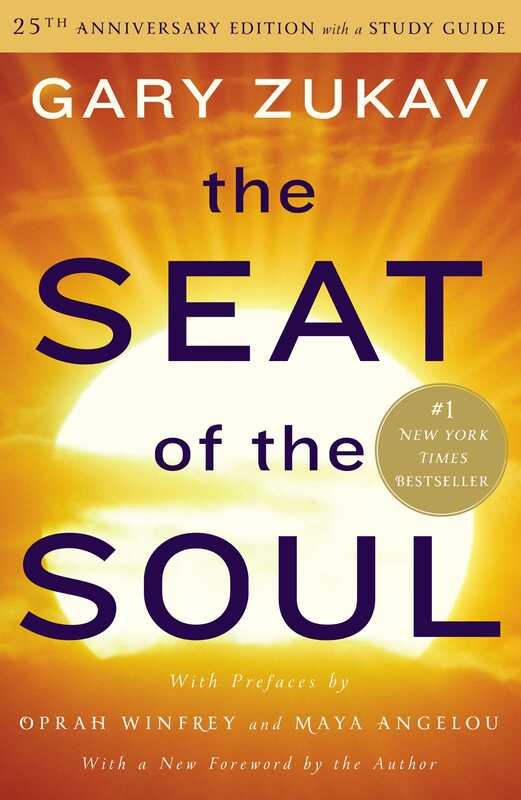 The Seat of the Soul has sold millions of copies around the globe, and as it changes lives, more and more people begin to live by the values of the spirit. Indeed, a new world is emerging, and this book brings its message to you. The evolution that we learned about in school is the evolution of physical form we learned, for example, that the single-celled creatures of the oceans are the predecessors of all more complex forms of life. A fish is more complex, and, therefore, more evolved than a sponge; a horse is more complex, and, therefore, more evolved than a snake; a monkey is more complex, and, therefore, more evolved than a horse, and so on, up to human beings which are the most complex, and, therefore, the most evolved Life forms upon our planet. We were taught, in other words, that evolution means the progressive development of organizational complexity. This definition is an expression of the idea that the organism that is best able to control both its environment and all of the other organisms in its environment is the most evolved. "Survival of the fittest" means that the most evolved organism in a given environment is the organism that is at the top of the food chain in that environment. According to this definition, therefore, the organism that is most able to ensure its own survival, most able to serve its self-preservation, is the most evolved. We have long known that this definition of evolution is inadequate, but we have not known why. When two humans engage one another, they are, in terms of organizational complexity, equally evolved. If both have the same intelligence, yet one is small-minded, mean and selfish while the other is magnanimous and altruistic, we say that the one who is magnanimous and altruistic is the more evolved. If one human intentionally sacrifices his or her life to save another, by, for example, using his or her own body to shield another from an unseen bullet or a speeding car, we say that the human who sacrificed his or her life, indeed, was one of the most evolved among us. We know these things to be true, but they are at variance with our understanding of evolution. Jesus, we are told, foresaw the plot against His life, even to the details of how His friends would act and react, yet He did not run from what He saw. The entirety of humankind has been inexorably shaped by the power and love of One who gave His life for others. All who revere Him, and almost all who but know His story, agree that He was one of the most evolved of our species. Our deeper understanding tells us that a truly evolved being is one that values others more than it values itself, and that values love more than it values the physical world and what is in it. We must now bring our understanding of evolution into alignment with this deeper understanding. It is important that we do this because our current understanding of evolution reflects the phase of evolution that we are now leaving. By examining this understanding, we can perceive how we have evolved to now, and what we are now in the process of leaving behind. By reflecting upon a new and expanded understanding of evolution, one that validates our deepest truths, we can see what we are evolving into, and what that means in terms of what we experience, what we value, and how we act. Our current understanding of evolution results from the fact that we have evolved until now by exploring physical reality with our five senses. We have been, until now, five-sensory human beings. This path of evolution has allowed us to see the basic principles of the Universe in concrete ways. We see through our five senses that every action is a cause that has an effect, and that every effect has a cause. We see the results of our intentions. We see that rage kills: it takes away breath -- the Life force -- and it spills blood -- the carrier of vitality. We see that kindness nurtures. We see and feel the effects of a snarl and a smile. We experience our ability to process knowledge. We see, for example, that a stick is a tool, and we see the effects of how we choose to use it. The club that kills can drive a stake into the ground to hold a shelter. The spear that takes a life can be used as a lever to ease life's burdens. The knife that cuts flesh can be used to cut cloth. The hands that build bombs can be used to build schools. The minds that coordinate the activities of violence can coordinate the activities of cooperation. We see that when the activities of life are infused with reverence, they come alive with meaning and purpose. We see that when reverence is lacking from life's activities, the result is cruelty, violence and loneliness. The physical arena is a magnificent learning environment. It is a school within which, through experimentation, we come to understand what causes us to expand and what causes us to contract, what causes us to grow and what causes us to shrivel, what nourishes our souls and what depletes them, what works and what does not. When the physical environment is seen only from the five-sensory point of view, physical survival appears to be the fundamental criterion of evolution because no other kind of evolution is detectable. It is from this point of view that "survival of the fittest" appears to be synonymous with evolution, and physical dominance appears to characterize advanced evolution. When perception of the physical world is limited to the five-sensory modality, the basis of life in the physical arena becomes fear. Power to control the environment, and those within the environment appears to be essential. The need for physical dominance produces a type of competition that affects every aspect of our lives. It affects relationships between lovers and between superpowers, between siblings and between races, between classes and between sexes. It disrupts the natural tendency toward harmony between nations and between friends. The same energy that sent warships to the Persian Gulf sent soldiers to Vietnam and Crusaders to Palestine. The energy that separated the family of Romeo from the family of Juliet is the same energy that separates the racial family of the black husband from the racial family of the white wife. The energy that set Lee Harvey Oswald against John Kennedy is the same energy that set Cain against Abel. Brothers and sisters quarrel for the same reason that corporations quarrel -- they seek power over one another. The power to control the environment, and those within it, is power over what can be felt, smelled, tasted, heard or seen. This type of power is external power. External power can be acquired or lost, as in the stock market or an election. It can be bought or stolen, transferred or inherited. It is thought of as something that can be gotten from someone else, or somewhere else. One person's gain of external power is perceived as another person's loss. The result of seeing power as external is violence and destruction. All of our institutions -- social, economic and political -- reflect our understanding of power as external. Families, like cultures, are patriarchal or matriarchal. One person "wears the pants." Children learn this early, and it shapes their lives. Police departments, like the military, are produced by the perception of power as external. Badge, boots, rank, radio, uniform, weapons, and armor are symbols of fear. Those who wear them are fearful. They fear to engage the world without defenses. Those who encounter these symbols are fearful. They fear the power that these symbols represent, or they fear those whom they expect this power to contain, or they fear both. The police and the military, like patriarchal and matriarchal families and cultures, are not origins of the perception of power as external. They are reflections of the way that we, as a species and as individuals, have come to view power. The perception of power as external has shaped our economics. The ability to control economies, within communities and within nations, and the ability to control the transnational economy of the world, is concentrated in the hands of a few people. To protect workers from these people, we have created unions. To protect consumers, we have created bureaucracies in government. To protect the poor, we have created welfare systems. This is a perfect reflection of how we have come to perceive power -- as the possession of a few while the majority serve it as victims. Money is a symbol of external power. Those who have the most money have the most ability to control their environment and those within it, while those who have the least money have the least ability to control their environment and those within it. Money is acquired, lost, stolen, inherited and fought for. Education, social status, fame, and things that are owned, if we derive a sense of increased security from them, are symbols of external power. Anything we fear to lose -- a home, a car, an attractive body, an agile mind, a deep belief -- is a symbol of external power. What we fear is an increase in our vulnerability. This results from seeing power as external. When power is seen as external, the hierarchies of our social, economic and political structures, as well as the hierarchies of the Universe, appear as indicators of who has power and who does not. Those at the top appear to have the most power and, therefore, to be the most valuable and the least vulnerable. Those at the bottom appear to be the least powerful, and, therefore, to be the least valuable and the most vulnerable. From this perception, the general is more valuable than the private, the executive is more valuable than the chauffeur, the doctor is more valuable than the receptionist, the parent is more valuable than the child, and the Divine is more valuable than the worshiper. We fear to transgress our parents, our bosses, and our God. All perceptions of lesser and greater personal value result from the perception of power as external. Competition for external power lies at the heart of all violence. The secondary gain behind ideological conflicts, such as capitalism versus communism, and religious conflicts, such as Irish Catholic versus Irish Protestant, and geographical conflicts, such as Jew versus Arab, and familial and marital conflicts, is external power. The perception of power as external splinters the psyche, whether it is the psyche of the individual, the community, the nation, or the world. There is no difference between acute schizophrenia and a world at war. There is no difference between the agony of a splintered soul and the agony of a splintered nation. When a husband and a wife compete for power, they engage the same dynamic that humans of one race do when they fear humans of another race. From these dynamics, we have formed our present understanding of evolution as a process of ever-increasing ability to dominate the environment and each other. This definition reflects the limitations of perceiving the physical world with only five senses. It reflects the competition for external power that is generated by fear. After millennia of brutality to one another, individual to individual and group to group, it is now clear that the insecurity which underlies the perception of power as external cannot be healed by the accumulation of external power. It is evident for all to see, not only with each newscast and evening paper, but also through each of our countless sufferings as individuals and as a species, that the perception of power as external brings only pain, violence and destruction. This is how we have evolved until now, and this is what we are leaving behind. Our deeper understanding leads us to another kind of power, a power that loves life in every form that it appears, a power that does not judge what it encounters, a power that perceives meaningfulness and purpose in the smallest details upon the Earth. This is authentic power. When we align our thoughts, emotions, and actions with the highest part of ourselves, we are filled with enthusiasm, purpose, and meaning. Life is rich and full. We have no thoughts of bitterness. We have no memory of fear. We are joyously and intimately engaged with our world. This is the experience of authentic power. Authentic power has its roots in the deepest source of our being. Authentic power cannot be bought, inherited or hoarded. An authentically empowered person is incapable of making anyone or anything a victim. An authentically empowered person is one who is so strong, so empowered, that the idea of using force against another is not a part of his or her consciousness. No understanding of evolution is adequate that does not have at its core that we are on a journey toward authentic power, and that authentic empowerment is the goal of our evolutionary process and the purpose of our being. We are evolving from a species that pursues external power into a species that pursues authentic power. We are leaving behind exploration of the physical world as our sole means of evolution. This means of evolution, and the consciousness that results from an awareness that is limited to the five-sensory modality, are no longer adequate to what we must become. We are evolving from five-sensory humans into multisensory humans. Our five senses, together, form a single sensory system that is designed to perceive physical reality. The perceptions of a multisensory human extend beyond physical reality to the larger dynamical systems of which our physical reality is a part. The multisensory human is able to perceive, and to appreciate, the role that our physical reality plays in a larger picture of evolution, and the dynamics by which our physical reality is created and sustained. This realm is invisible to the five-sensory human. It is in this invisible realm that the origins of our deepest values are found. From the perspective of this invisible realm, the motivations of those who consciously sacrifice their lives for higher purposes make sense, the power of Gandhi is explicable, and the compassionate acts of the Christ are comprehensible in a fullness that is not accessible to the five-sensory human. All of our great teachers have been, or are, multisensory humans. They have spoken to us and acted in accordance with perceptions and values that reflect the larger perspective of the multisensory being, and, therefore, their words and actions awaken within us the recognition of truths. From the perception of the five-sensory human, we are alone in a universe that is physical. From the perception of the multisensory human, we are never alone, and the Universe is alive, conscious, intelligent and compassionate. From the perception of the five-sensory human, the physical world is an unaccountable given in which we unaccountably find ourselves, and we strive to dominate it so that we can survive. From the perception of the multisensory human, the physical world is a learning environment that is created jointly by the souls that share it, and everything that occurs within it serves their learning. From the perception of the five-sensory human, intentions have no effects, the effects of actions are physical, and not all actions affect us or others. From the perception of the multisensory human, the intention behind an action determines its effects, every intention affects both us and others, and the effects of intentions extend far beyond the physical world. What does it mean to say that an "invisible" realm exists in which the origins of our deeper understandings are located? What are the implications of considering the existence of a realm that is not detectable through the five senses, but that can be known, explored, and understood by other human faculties? When a question is asked that cannot be answered within the common frame of reference, it can be classified as nonsensical, or it can be dismissed as a question that is not appropriate, or the person who is asking the question can expand his or her consciousness to encompass a frame of reference from which the question can be answered. The first two options are the easy ways out of a confrontation with a question that appears to be nonsensical or inappropriate, but the seeker, the true scientist, will allow himself or herself to expand into a frame of reference from which the answers that he or she is seeking can be understood. We, as a species, have been asking the questions, "Is there a God? ", "Is there a Divine Intelligence? ", and, "Is there a purpose to life? ", for as long as we have been able to articulate questions. The time has now come for us to expand into a frame of reference that allows these questions to be answered. The larger frame of reference of the multisensory human allows an understanding of the experientially meaningful distinction between the personality and the soul. Your personality is that part of you that was born into, lives within, and will die within time. To be a human and to have a personality are the same thing. Your personality, like your body, is the vehicle of your evolution. The decisions that you make and the actions that you take upon the Earth are the means by which you evolve. At each moment you choose the intentions that will shape your experiences and those things upon which you will focus your attention. These choices affect your evolutionary process. This is so for each person. If you choose unconsciously, you evolve unconsciously. If you choose consciously, you evolve consciously. The fearful and violent emotions that have come to characterize human existence can be experienced only by the personality. Only the personality can feel anger, fear, hatred, vengeance, sorrow, shame, regret, indifference, frustration, cynicism and loneliness. Only the personality can judge, manipulate and exploit. Only the personality can pursue external power. The personality can also be loving, compassionate, and wise in its relations with others, but love, compassion, and wisdom do not come from the personality. They are experiences of the soul. Your soul is that part of you that is immortal. Every person has a soul, but a personality that is limited in its perception to the five senses is not aware of its soul, and, therefore, cannot recognize the influences of its soul. As a personality becomes multisensory, its intuitions -- its hunches and subtle feelings -- become important to it. It senses things about itself, other people, and the situations in which it finds itself that it cannot justify on the basis of the information that its five senses can provide. It comes to recognize intentions, and to respond to them rather than to the actions and the words that it encounters. It can recognize, for example, a warm heart beneath a harsh and angry manner, and a cold heart beneath polished and pleasing words. When a multisensory personality looks inside itself, it finds a multitude of different currents. Through experience, it learns to distinguish between these currents and to identify the emotional, psychological and physical effects of each. It learns, for example, which currents produce anger, divisive thoughts, and destructive actions, and which currents produce love, healing thoughts, and constructive actions. In time, it learns to value and to identify with those currents that generate creativity, healing and love, and to challenge and release those currents that create negativity, disharmony and violence. In this way, a personality comes to experience the energy of its soul. Your soul is not a passive or a theoretical entity that occupies a space in the vicinity of your chest cavity. It is a positive, purposeful force at the core of your being. It is that part of you that understands the impersonal nature of the energy dynamics in which you are involved, that loves without restriction and accepts without judgment. If you desire to know your soul, the first step is to recognize that you have a soul. The next step is to allow yourself to consider, "If I have a soul, what is my soul? What does my soul want? What is the relationship between my soul and me? How does my soul affect my life?" When the energy of the soul is recognized, acknowledged, and valued, it begins to infuse the life of the personality. When the personality comes fully to serve the energy of its soul, that is authentic empowerment. This is the goal of the evolutionary process in which we are involved and the reason for our being. Every experience that you have and will have upon the Earth encourages the alignment of your personality with your soul. Every circumstance and situation gives you the opportunity to choose this path, to allow your soul to shine through you, to bring into the physical world through you its unending and unfathomable reverence for and love of Life. This is a book about authentic empowerment -- the alignment of the personality with the soul -- what that involves, how it happens, and what it creates. To understand these things requires an understanding of things that appear unusual to the five-sensory human, but they become natural once you understand evolution -- that five-sensory perception is a journey leading to multisensory perception -- and that you were not always meant to be five-sensory.